ClipperCreek, a worldwide leader in Electric Vehicle Supply Equipment (EVSE) that continues to lead the Electric Vehicle Charging Station industry in customer value, has announced a new low price on its access controlled Liberty-enabled CS Charging Station. Since its introduction in 2010, the Liberty-enabled CS Charging Station has been ClipperCreek’s flagship access control model, utilizing access codes to provide flexible access control and cost recovery options for station owners while maintaining low operating costs and reliable charging in commercial applications. Pricing for the Liberty-enabled CS Series has been reduced for all product configurations available from 16A to 80A. A licensing and manufacturing agreement with Liberty Access Technologies combined with manufacturing process improvements allowed for cost reduction of materials and manufacturing, enabling ClipperCreek to pass the cost savings on to customers. “It’s an excellent opportunity for ClipperCreek and our customers,” said ClipperCreek’s President, Founder, and Sole Owner, Jason France. “Purchasers of our charging stations are attracted by the unique benefits of the rugged CS design and reliable access control that does not rely on a network connection as most access control charging stations do. 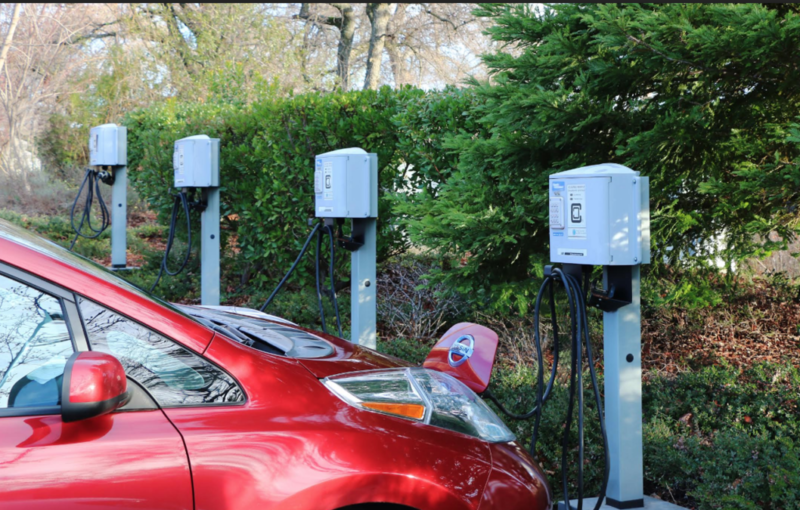 A price reduction further enhances an already compelling value proposition and will lead to further market penetration of commercial ClipperCreek charging stations,” concluded France. New lower pricing is effective immediately and inquiries for Liberty-enabled CS charging stations can be made at www.clippercreek.com or by calling the ClipperCreek customer service center 877-694-4194. More on ClipperCreek on Facebook, Twitter, LinkedIn and on Instagram. To view a video demonstrating the durability of a ClipperCreek EV Charging Station click here. To view a video of the installation of a hardwire ClipperCreek EV Charging Station click here. Founded in 2006 by Jason France, ClipperCreek is a worldwide leader in Electric Vehicle Supply Equipment (EVSE). The company offers a wide range of products designed to be the safest, most innovative, and grid-ready EV charging stations on the market. ClipperCreek advances the plug-in vehicle market and broadens the acceptance of the most exciting vehicle revolution in a century. The industry pioneers at ClipperCreek build more than 25 years of real world EV charging expertise into every EVSE they manufacture. All ClipperCreek products are Made in America. For more information, please visit www.clippercreek.com.